[sch i=”description” c=”‘Electronic Arts’ mobile studio Firemonkeys (formally known as Firemint) has developed and released their new improved touchscreen game for both iOS & Android device, ‘Real Racing 3’ – free car racing game for mobile.”] It turns to be the best Racing game if you want to play this game as a casual racing fan and the cool deal is you can download this game for free. 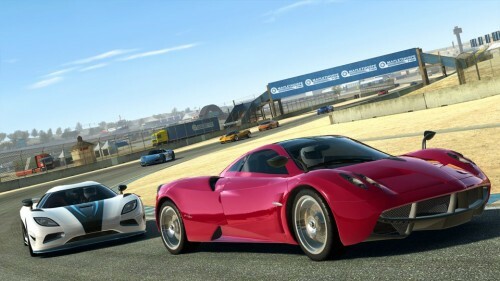 [sch i=”itemReviewed” c=”Real Racing 3 Mobile Game”] is a freemium game, as you all know a freemium app or game is something like a business strategy where the application can be installed on your devices for free, but the consumers have to spend money if they want to add some more enhancements to the game or app. Now a days it has become a popular business model on iOS or Android based devices and massively hits the market with this theory of giving freeway games & apps, games such as ‘Everquest 2’ and ‘Lord of the Rings Online’ are famous under this freemium model. Now talking about this new game, Real Racing 3 looks more realistic than its previous versions and racing experience is also smooth. The textures outside of your car as you accelerate the speed moves very well making the gaming experience real; the car models, control options using the onscreen steering wheel or tilting your device are great. If you’re having trouble on how to steer & brake into turns then there are different ‘Driver Assists’ that help you with traction, and control your car at the early stage of your gaming experience. 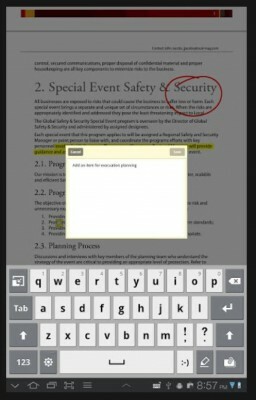 But as you acquire more driving skills, you can turn off the assistance. But there is a negative effect if you turn off the assists, as you will surely gain more control of your own over the car but you are surly hit into things more often and that will cost your wallet to repair. 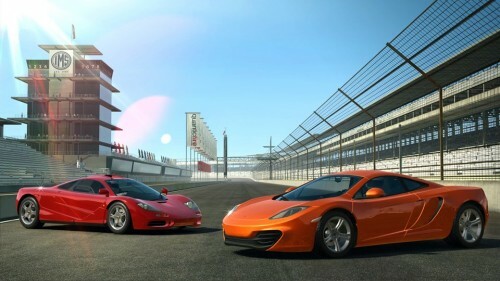 In Real Racing 3, you must win races to earn in-game cash and fame points to upgrade your current car or to buy new cars to qualify for different series. Head spinning tracks, variety of events (option to compete in 900 events) such as Standard Cup, Head to Heads, Eliminations, Endurance, Top Speed Records and many more make the game play experience fun and enthusiastic. There is a new addition to this racing is “TSM” or “Time Shifted Multiplayer”, this means you can smack on your Game Center friends if they are online or not, and you can’t believe this ‘their car will still react accordingly’. It is annoying sometimes to wait for the maintenance of your car, but at that time you can buy a second car and give it a hard drive. There is a wait time if you initiate an upgrade or maintenance task for your car and it will take 15 minutes to several hours depending on the circumstances. 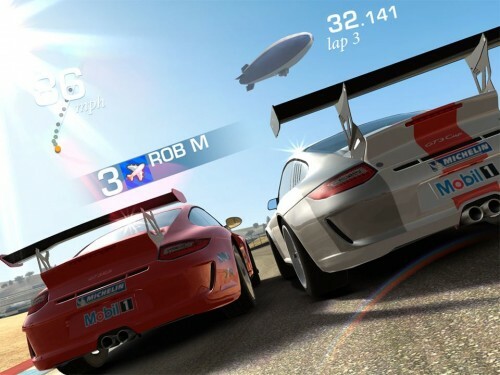 EA says that in Real Racing 3 gaming experience will be rich, immensely impressive and close to reality as they now feature persistent car damage, powerful new Mint 3 Engine, fully functional rear view mirrors and dynamic reflections. 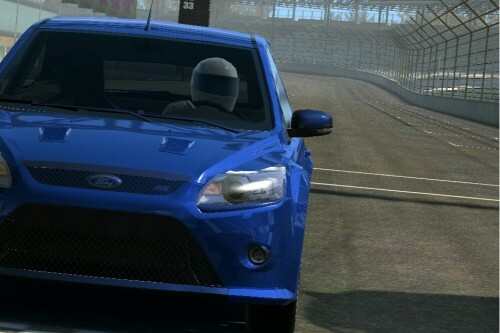 Extensive use of real world cars and tracks adds more stars to this new version of Real Racing. 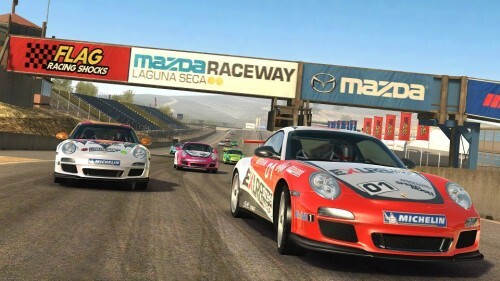 New officially licensed tracks like Mazda Raceway Laguna Seca, Circuit de pa-Francorchamps, Silverstone and Hockenheimring etc. are introduced with an expanded 22 car grid and over 45 detailed real world cars like Porche, Lamborgini, Bugatti, Audi and Dodge. Smocking a Porche 911 on Mazda Raceway at 150 MPH is an adrenaline pumping experience before tapping the brake to drift your car through the corners called Corkscrew. 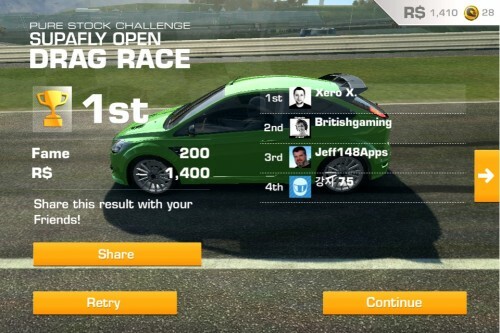 You can spend a day long playing the events, and connecting your device with your Facebook or Game Center account, your friends will start competing with you every moment and every race will turn into a must win competition. 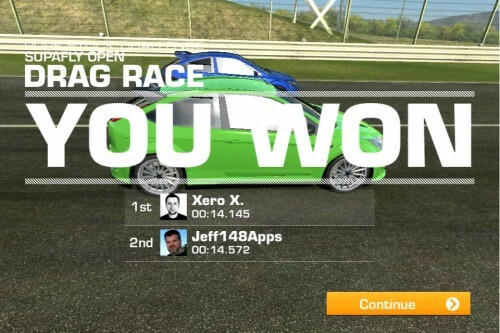 Real Racing 3 does the best making its money by frustrating the impatient gamers. You are bound to send your car after a few races for routine check-ups and repairs and we already have told you it could be an alarming situation if you can’t hold your patience, you can pay to skip this wait times by deducting gold coins in term of payment from your account. 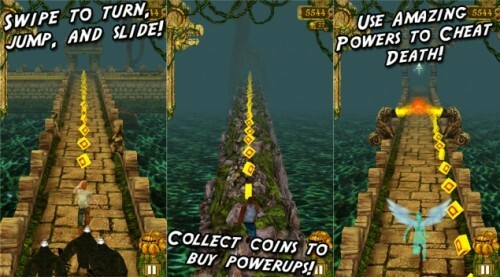 Gold coins can be earned through normal game play and they are useful at the time of purchasing the final upgrade or buying many higher end cars. 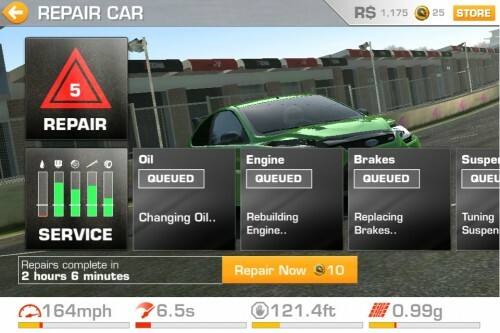 Real Racing 3 is 716 MB in size and requires at least 2 GB of free space for additional components on the installing device. 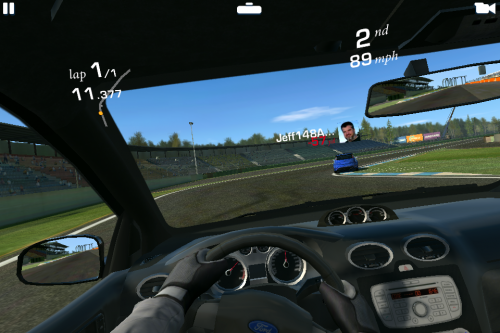 Verdict: Real Racing 3 is real time, perfect, stunning racing game featured with many new tracks and cars as we all expected it to be. Being a freemium game one can experience the adrenaline rush without spending a penny. Introduction of “TSM” makes it more realistic and playing with your social friends online is fun. But there are some disadvantages those can be faced by some gamers. Spending a lot of leisure time will let you to win as many events and cups which will definitely inprove your driving skill and also will help you to earn more money & fame points. Driving without Assists on can cause one sudden 0-7 bad hits which will surely cost. Some major repairs and up gradation can take time more than an hour which is irritating sometimes. The previous ‘Real racing 2’ is still available on the apps store for $4.99 but this version is free to install. You have to wait or pay with ‘Gold coins’ in some circumstances. We don’t see people complaining too much about waiting, none the less, if you are impatient, you can always pay. 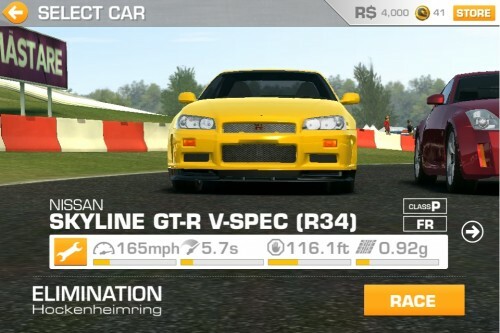 Real Racing 3 is now available in Google Play Store and in Apple Store for free download. Rating: [sch i=”reviewRating” c=”4″]/5 – Review by [sch i=”author” c=”Shubhrajit Chakraborty”].